MoreFor more than 30 years, Klest Injury Law Firm has fought for the injured, seeking maximum compensation for victims of negligence. Our record of success includes numerous million-dollar jury awards and settlements.Attorney Joseph Klest has won a national reputation for his trial advocacy skills and ability to win challenging and high-profile personal injury cases. Mr. Klest is dedicated to helping his clients get the compensation, closure and justice they deserve.Klest Injury Law Firm, with...For more than 30 years, Klest Injury Law Firm has fought for the injured, seeking maximum compensation for victims of negligence. Our record of success includes numerous million-dollar jury awards and settlements. Attorney Joseph Klest has won a national reputation for his trial advocacy skills and ability to win challenging and high-profile personal injury cases. 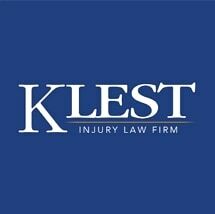 Mr. Klest is dedicated to helping his clients get the compensation, closure and justice they deserve. Joseph Klest has a special passion for representing victims of sexual abuse. He has represented more than 500 abuse victims and counseled thousands of people in Illinois, the U.S., and around the world who have suffered sexual abuse. In one case, Snyder vs. Kenny, Mr. Klest won a $28 million-dollar verdict, the largest sexual abuse verdict in Illinois and one of the largest in the nation.